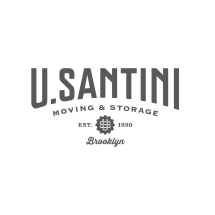 U. Santini Moving & Storage Brooklyn, New York - the right moving company when moving to New York Are you moving to New York any time soon? If you are, you will need capable movers NYC based who can handle your relocation. Look no more, as that's us - long-standing and experienced movers in the NYC area. Give us a call, and request an in-home price estimate. That's all you have to do, as we will gladly take it from there. Your only worries will be concerned with how to have fun during relocation.